In a significant development in the fast-moving Hosted PBX market, We have announced total integration between the Uboss management platform and Htek SIP handsets. For the first time the handset firmware, services, and button features are all driven from Uboss for the tightest possible feature integration. 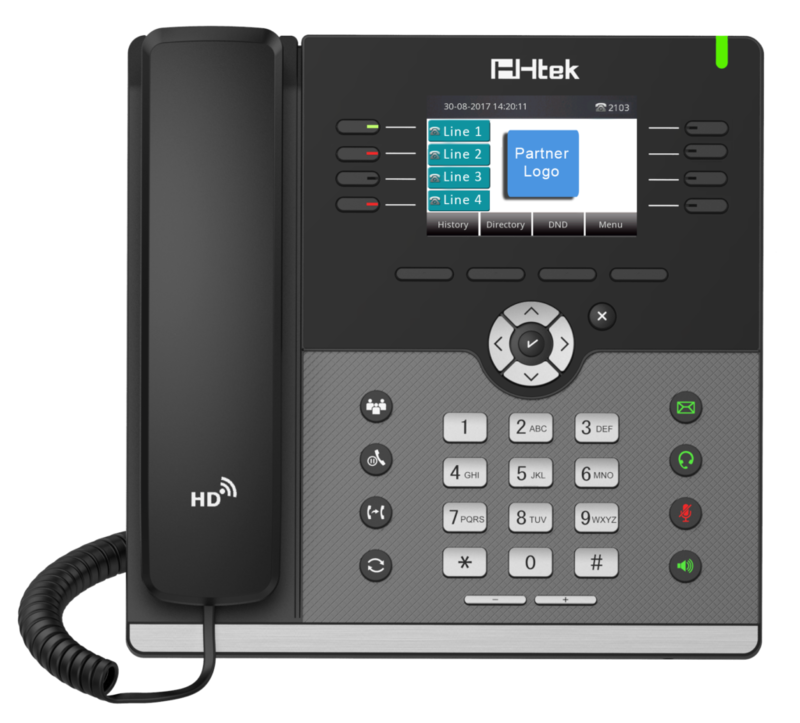 The Htek UC range of sophisticated IP terminals along with the high degree of Uboss integration offer a superior User, Functionality and call handling experience on the Uboss platform. Common keys and functionality across all the phones in the Htek range make for an intuitive and elegant user experience. These can be used to access unified Uboss directories for Personal and Corporate directories with dial-by-name, call recording control, and flexible seating login.